Meaning of illustration "Fabulous Deer"
The fabulous symbolism of the Deer has an extremely broad range. Usually people separate black from white, positive from negative, strength from weakness, beginning from end. Why such boundaries? The magical Deer proves that each person can be the embodiment of tenderness and strength: it combines power and courage, and at the same time, grace and beauty; the harmony of the world creates the perfect image of the Deer. Diving into history, we can discover very interesting facts that are sure to amaze. For example, the ancient Mayan culture called itself "Ah-Maya" - "people of the Deer", so the Deer acted as the personification of leadership. In Slavic culture the vision of the Deer again is presented in a new way: it is the embodiment of ancestors, parents , and besides, according to legends, one who could work wonders. The calendar month associated with the Deer (Capricorn) is still the beginning of the year, new life and new achievements. Therefore, don't put limits to yourself! Сreate your own miracle: just one single look at our lovely Deer, immediately wakes up the irresistible desire to start something new, be inspired to incredible achievements. Open the gates of your own life for new, fabulous and incredible. Maybe it's time to say goodbye to the burden of the old and unnecessary? Do not be afraid of this, by closing certain doors you open the others. Always. In addition, we believe that a Deer with his energy brings the best qualities of a warrior,( each of us is a warrior in his own vision), this adds harmony and grace to the image. Do not think that the first part is devoted to boys, and the second – to girls. Stop splitting the world in halves, it can only exist in symbiosis! For each of us it is important to be fighting and leading, but no one has cancelled harmony with himself..
Print is presented on clothing and accessories. 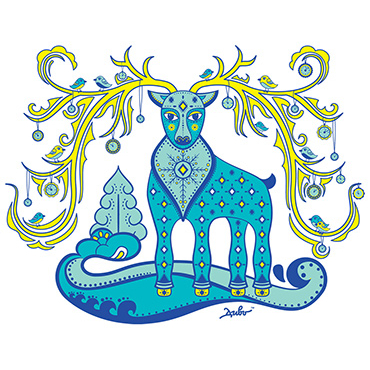 Buy products with “Magical Deer” in Kiev and Ukraine. 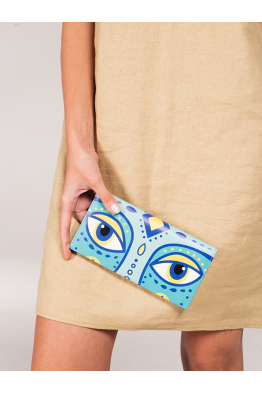 Made in Ukraine100% cotton. Digital printing. Care instructions: hand wash cycle at 30°, iron at me.. 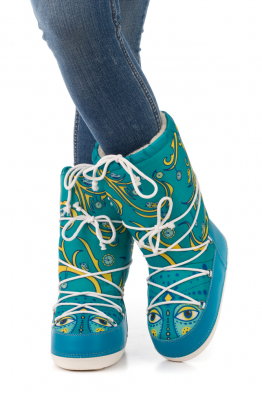 The Dyvoooboots are a funny, high quality, Italian made version of the more classic apres-ski boots ..
Hello! We are your new eyes. 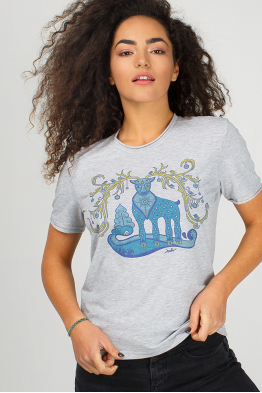 We are the embodiment of power, grace and beauty, harmony of all that e..
An amazing creation by our artists, pictured on this -stylish t-shirt is maybe mesmerizing and..
Women's T-shirt "Dyvooo-Eyes. Fabulous deer"
This tì-shirt will make men crazy because: 1) it is simple fab and 2) because the new V-cut in the b.. Fabric made in Turkey, the cloth – Ukraine. Print: embroidery. 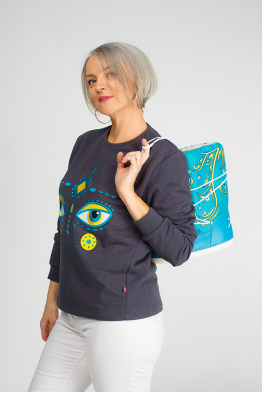 ..
Women's Sweatshirt "Dyvooo-Eyes. Fabulous Deer"
Thousands of people are falling in love with this magical look... 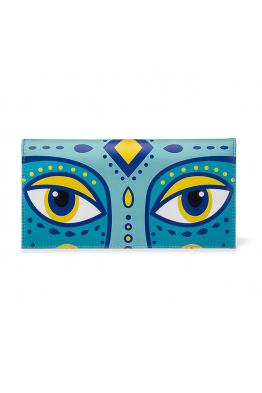 These wonder-eyes inspired us to c..